United Punjab is going to organize football mega trials in 6 different location of India in February. All players from any state of India can attend this trials. Please note: Last date for registration of trials is 3 days before the trials date with registration fee of rs. 300/-. After last date till on the spot late registration fee will be rs. 500/-. Therefore all players are requested to register themselves before the last date to avoid late registration fee. Name of Bank: Kotak Mahindra Bank LTD.
Kindly whatsapp 9878667133 or 7696013276 for more information. 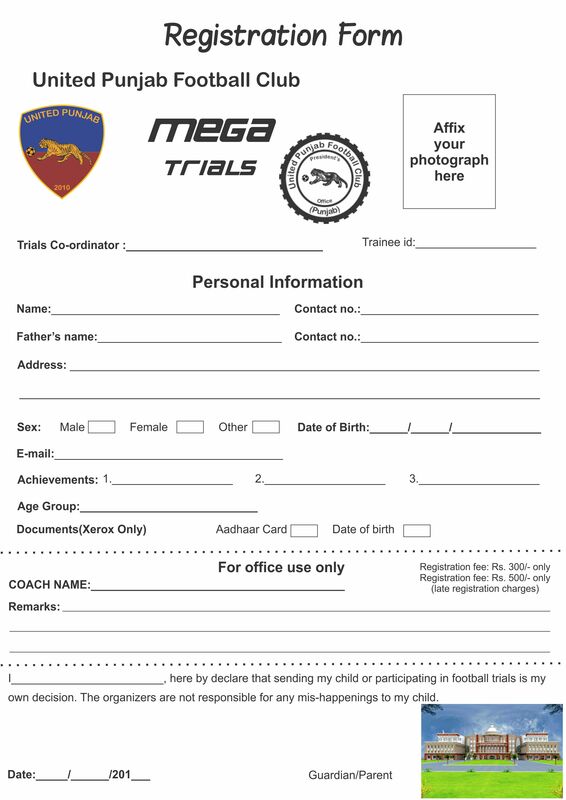 Download the trials registration form here.